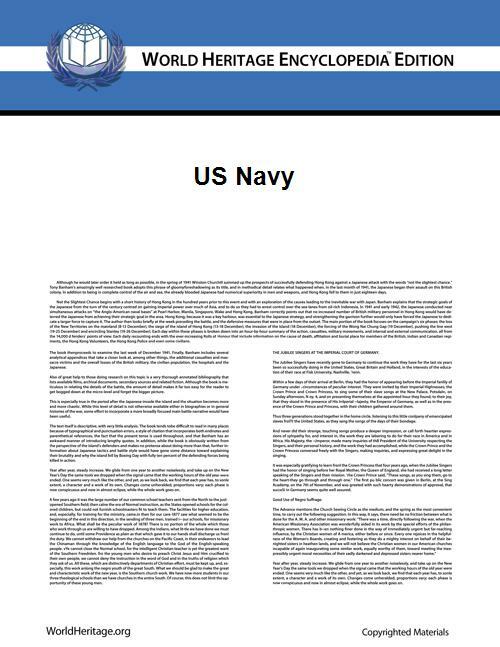 The United States Navy (USN) is the naval warfare service branch of the United States Armed Forces and one of the seven uniformed services of the United States. It is larger than the next 13 largest navies combined in terms of battle fleet tonnage, according to one estimate. The U.S. Navy also has the world's largest carrier fleet, with 10 in service, one under construction (two planned), and two in reserve. The service has 317,054 personnel on active duty and 109,671 in the Navy Reserve. It operates 286 ships in active service and more than 3,700 aircraft. The navy traces its origins to the Continental Navy, which was established during the American Revolutionary War and was essentially disbanded as a separate entity shortly thereafter. It played a major role in the American Civil War by blockading the Confederacy and seizing control of its rivers. It played the central role in the World War II defeat of Japan. The Navy is administratively managed by the Department of the Navy, which is headed by the civilian Secretary of the Navy. 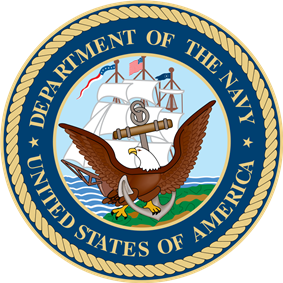 The Department of the Navy is itself a division of the Department of Defense, which is headed by the Secretary of Defense. The Chief of Naval Operations is a four-star admiral and the senior naval officer of the Department of the Navy. The Chief of Naval Operations is the most senior naval officer in the Department of the Navy. However, the CNO may not be the highest ranking naval officer in the armed forces if the Chairman or the Vice Chairman of the Joint Chiefs of Staff are Navy officers, who by law, outrank the CNO. U.S. Navy training manuals state that the mission of the US armed forces is "to prepare and conduct prompt and sustained combat operations in support of the national interest." As part of that establishment, the U.S. Navy's functions comprise sea control, power projection and nuclear deterrence, in addition to "sealift" duties. The Navy was rooted in the American seafaring tradition, which produced a large community of sailors, captains and shipbuilders in the colonial era. In the early stages of the American Revolutionary War, Massachusetts had its own navy. The establishment of a national navy was an issue of debate among the members of the Continental Congress. Supporters argued that a navy would protect shipping, defend the coast, and make it easier to seek out support from foreign countries. Detractors countered that challenging the British Royal Navy, then the world's preeminent naval power, was a foolish undertaking. Commander in Chief George Washington resolved the debate when he commissioned seven ocean-going cruisers to interdict British supply ships, and reported the captures to the Congress. The Continental Navy achieved mixed results; it was successful in a number of engagements and raided many British merchant vessels, but it lost 24 of its vessels and at one point was reduced to two in active service. The navy was disbanded at war's end. The United States would be without a navy for nearly a decade—a state of affairs that exposed its merchant ships to a series of attacks by Barbary pirates. The sole armed maritime presence between 1790 and the launching of the U.S. Navy's first warships in 1797 was the U.S. Revenue Cutter Service (USRCS), the primary predecessor of the U.S. Coast Guard. Although USRCS Cutters conducted operations against these pirates, the depredations far outstripped the abilities of the USRCS and Congress ordered the construction and manning of six frigates on 27 March 1794; three years later the first three were welcomed into service: USS United States, USS Constellation, and USS Constitution. Following an undeclared Quasi-War with France, the U.S. Navy saw substantial action in the War of 1812, where it was victorious in eleven single-ship duels with the Royal Navy. The navy drove all significant British forces off Lake Erie and Lake Champlain and prevented them from becoming British controlled zones of conflict. Despite this, the U.S. Navy was unable to prevent the British from blockading American ports and landing troops on American soil. After the war, the U.S. Navy again focused its attention on protecting American shipping assets, sending squadrons to the Caribbean, the Mediterranean, South America, Africa, and the Pacific. From 1819 to the outbreak of the Civil War the Africa Squadron operated to suppress the slave trade, seizing 36 slave ships, although its contribution was smaller than that of the much larger British Royal Navy. During the Mexican-American War the U.S. Navy contributed by instituting blockades of Mexican ports, capturing or burning the Mexican fleet in the Gulf of California and capturing all major cities in Baja California peninsula—later returned. In 1846–1848 the navy successfully used the Pacific Squadron under Commodore (Rear Admiral) Robert Stockton and its marines and blue-jackets to facilitate the capture of California with large scale land operations coordinated with the local militia organized in the California Battalion. The navy conducted the U.S. military's first large-scale amphibious joint operation by successfully landing 12,000 army troops with their equipment in one day at Veracruz, Mexico. When larger guns were needed to bombard Veracruz, navy volunteers landed large navy guns and manned them in the successful bombardment and capture of the city. This successful landing and capture of Veracruz opened the way for the capture of Mexico City and the end of the war. The United States Navy established itself as a player in American foreign policy through the actions of Commodore Matthew Perry in Japan, which resulted in the Convention of Kanagawa in 1854. Naval power would play a significant role during the American Civil War, where the Union had a distinct advantage over the Confederacy on the seas. A Union blockade on all major ports shut down exports and the coastal trade, but blockade runners (mostly owned and operated by British companies) provided a thin lifeline. The brown-water Navy's control of the river systems made internal travel difficult for Confederates and easy for the Union. The war saw ironclad warships in combat for the first time at the Battle of Hampton Roads in 1862, which pitted USS Monitor against CSS Virginia. [page needed] For two decades after the war, however, the U.S. Navy's fleet was neglected and became technologically obsolete. The U.S. Navy grew into a formidable force in the years prior to World War II, with battleship production being restarted in 1937, commencing with the USS North Carolina (BB-55). Though ultimately unsuccessful, Japan attempted to neutralize this strategic threat with the 1941 surprise attack on Pearl Harbor. Following American entry into the war, the U.S. Navy grew tremendously as the United States was faced with a two-front war on the seas. It achieved notable acclaim in the Pacific Theater, where it was instrumental to the Allies' successful "island hopping" campaign. The U.S. Navy participated in many significant battles, including the Battle of the Coral Sea, the Battle of Midway, the Solomon Islands Campaign, the Battle of the Philippine Sea, the Battle of Leyte Gulf, and the Battle of Okinawa. By 1943, the navy's size was larger than the combined fleets of all the other combatant nations in World War II. By war's end in 1945, the United States Navy had added hundreds of new ships, including 18 aircraft carriers and 8 battleships, and had over 70% of the world's total numbers and total tonnage of naval vessels of 1,000 tons or greater. At its peak, the U.S. Navy was operating 6,768 ships on V-J Day in August 1945. Doctrine had significantly shifted by the end of the war. The United States Navy had followed in the footsteps of the navies of Great Britain and Germany which favored concentrated groups of battleships as their main offensive naval weapons. The development of the aircraft carrier and its devastating utilization by the Japanese against the U.S. at Pearl Harbor however shifted U.S. thinking. The Pearl Harbor attack destroyed or took out of action a significant number of U.S. Navy battleships. This placed much of the burden of retaliating against the Japanese on the small number of aircraft carriers. The United States Navy continues to be a major support to U.S. interests in the 21st century. Since the end of the Cold War, it has shifted its focus from preparations for large-scale war with the Soviet Union to special operations and strike missions in regional conflicts. The navy participated in Operation Enduring Freedom, Operation Iraqi Freedom, and is a major participant in the ongoing War on Terror, largely in this capacity. Development continues on new ships and weapons, including the and the Littoral combat ship. Because of its size, weapons technology, and ability to project force far from U.S. shores, the current U.S. Navy remains a potent asset for the United States. During the George W. Bush administration, the fleet dropped to a total number of ships that was smaller than any time since 1917. In its 2013 budget request, the navy focused on retaining all eleven big deck carriers, at the expense of cutting numbers of smaller ships and delaying the SSBN replacement. The Navy falls under the administration of the Department of the Navy, under civilian leadership of the Secretary of the Navy (SECNAV). The most senior naval officer is the Chief of Naval Operations (CNO), a four-star admiral who is immediately under and reports to the Secretary of the Navy. At the same time, the Chief of Naval Operations is one of the Joint Chiefs of Staff, which is the second-highest deliberatory body of the armed forces after the United States National Security Council, although it only plays an advisory role to the President and does not nominally form part of the chain of command. The Secretary of the Navy and Chief of Naval Operations are responsible for organizing, recruiting, training, and equipping the Navy so that it is ready for operation under the command of the unified combat command commanders. The United States Navy has six active numbered fleets – Third, Fifth, Sixth, Seventh Fleet and Tenth Fleets are each led by a three-star vice admiral, and the Fourth Fleet is led by a rear admiral. These six fleets are further grouped under Fleet Forces Command (the former Atlantic Fleet), Pacific Fleet, Naval Forces Europe-Africa, and Naval Forces Central Command, whose commander also doubles as Commander Fifth Fleet; the first three commands being led by four-star admirals. The United States First Fleet existed after the Second World War from 1947, but it was redesignated Third Fleet in early 1973. In early 2008, the navy reactivated the United States Fourth Fleet to control operations in the area controlled by Southern Command, which consists of US assets in and around Central and South America. In the operational environment, as an expeditionary force specializing in amphibious operations, Marines often embark on Navy ships in order to conduct operations from beyond territorial waters. Marine units deploying as part of a Marine Air-Ground Task Force (MAGTF) operate under the command of the existing Marine chain of command. Although Marine units routinely operate from amphibious assault ships the relationship has evolved over the years much as the Commander of the Carrier Air Group/Wing (CAG) does not work for the carrier commanding officer, but coordinates with the ship's CO and staff. Some Marine aviation squadrons, usually fixed-wing assigned to carrier air wings train and operate alongside Navy squadrons, flying similar missions and often flying sorties together under the cognizance of the CAG. Aviation is where the Navy and Marines share the most common ground, since aircrews are guided in their use of aircraft by standard procedures outlined in series of publications known as NATOPS manuals. The United States Coast Guard, in its peacetime role with the Department of Homeland Security, fulfills its law enforcement role in the maritime environment. It provides Law Enforcement Detachments (LEDETs) to Navy vessels, where they perform arrests and other law enforcement duties during naval boarding and interdiction missions. In times of war, the Coast Guard operates as a service in the Navy. At other times, Coast Guard port security units are sent overseas to guard the security of ports and other assets. The Coast Guard also jointly staffs the Navy's naval coastal warfare groups and squadrons (the latter of which were known as harbor defense commands until late-2004), which oversee defense efforts in foreign littoral combat and inshore areas. The second largest concentration of installations is at Hampton Roads, Virginia, where the navy occupies over 36,000 acres (15,000 ha) of land. Located at Hampton Roads are Naval Station Norfolk, homeport of the Atlantic Fleet; NAS Oceana, a Master Jet Base; Naval Amphibious Base Little Creek; and Training Support Center Hampton Roads as well as a number of Navy and commercial shipyards that service navy vessels. 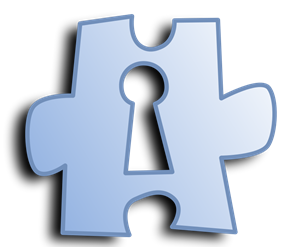 Also in Virginia is the Aegis Training and Readiness Center located at NSA Dahlgren. Maryland is home to Naval Air Station Patuxent River, which houses the Navy's Test Pilot School. Also located in Maryland is the United States Naval Academy, situated in Annapolis. Naval Station Newport in Newport, Rhode Island is home to many schools and tenant commands, including the Officer Candidate School, Naval Undersea Warfare Center, and more, and also mantantains inactive ships. There is also a naval base in Charleston, South Carolina. This is home to the Nuclear A-School. The state of Florida is the location of three major bases, Naval Station Mayport, the Navy's fourth largest, in Jacksonville, Florida; Naval Air Station Jacksonville, a Master Air Anti-submarine Warfare base; and Naval Air Station Pensacola; home of the Naval Education and Training Command, the Naval Air Technical Training Center that provides specialty training for enlisted aviation personnel and is the primary flight training base for navy and marine corps Naval Flight Officers and enlisted Naval Aircrewmen. There is also Naval Support Activity in Panama City Beach, Florida which is home to the Navy Diving and Salvage Training Center. The main U.S. Navy submarine bases on the east coast are located in Groton, Connecticut and Kings Bay, Georgia. There is a naval shipyard in Portsmouth, New Hampshire, which repairs naval submarines. Naval Station Great Lakes, north of Chicago, Illinois is the home of the Navy's boot camp for enlisted sailors. As of 2013, the navy operates 282 ships, 3,659 aircraft, 50,000 non-combat vehicles and owns 75,200 buildings on 3,300,000 acres (13,000 km2). In addition, the Navy has 122 ships operated by the Military Sealift Command (USNS) crewed by a combination of cilian contractors and a small number of uniformed Naval personnel. The U.S. Navy was one of the first to install nuclear reactors aboard naval vessels; today, nuclear energy powers all active U.S. aircraft carriers and submarines. In the case of the carrier, two naval reactors give the ship almost unlimited range and provide enough electrical energy to power a city of 100,000 people. The U.S. Navy previously operated nuclear-powered cruisers, but all have been decommissioned. The U.S. Navy has identified a need for 313 combat ships, but under the current plans will only be able to afford 232 to 243. The navy had established a minimum requirement for 11 aircraft carriers, but dropped to 10 when Enterprise retired in December 2012, before Gerald R. Ford enters service. Amphibious assault ships are the centerpieces of US amphibious warfare and fulfill the same power projection role as aircraft carriers except that their striking force comprises land forces instead of aircraft. They deliver, command, coordinate, and fully support all elements of a 2200-strong marine amphibious unit in an amphibious assault using both air and amphibious vehicles. Resembling small aircraft carriers, amphibious assault ships are capable of V/STOL, STOVL, VTOL, tiltrotor, and rotary wing aircraft operations. They also contain a well deck to support the use of Landing Craft Air Cushion (LCAC) and other amphibious assault watercraft. Recently, amphibious assault ships have begun to be deployed as the core of an expeditionary strike group, which usually consists of an additional amphibious transport dock and dock landing ship for amphibious warfare and an Aegis-equipped cruiser and destroyer, frigate, and attack submarine for group defense. Amphibious assault ships are typically named after World War II aircraft carriers. Cruisers are large surface combat vessels that conduct anti-air/anti-missile warfare, surface warfare, anti-submarine warfare, and strike operations independently or as members of a larger task force. Modern guided missile cruisers were developed out of a need to counter the anti-ship missile threat facing the United States Navy. This led to the development of the AN/SPY-1 phased array radar and the Standard missile with the Aegis combat system coordinating the two. were the first to be equipped with Aegis and were put to use primarily as anti-air and anti-missile defense in a battle force protection role. Later developments of vertical launch systems and the Tomahawk missile gave cruisers additional long-range land and sea strike capability, making them capable of both offensive and defensive battle operations. All cruisers since CG-47 have been named for famous battles with USS Thomas S. Gates (CG-51) as the only exception. Previously, cruisers were either named for cities (until CG-12), former important navy figures (CG-15 to CG-35), or states (CGN-36 to CGN-41). Littoral Combat Ships are split between two designs and are expected to total around 40 ships when the program is complete. The primary missions of submarines in the U.S. Navy are peacetime engagement, surveillance and intelligence, special operations, precision strikes, battlegroup operations, and control of the seas. The U.S. Navy operates three types: ballistic missile submarines, guided missile submarines, and attack submarines. Ballistic missile submarines have only one mission: to carry and launch the Trident missile. Four ballistic missile submarines were converted to guided missile submarines, which have a primary mission of attacking targets on land. Attack submarines have several tactical missions, including sinking ships and other subs, launching cruise missiles, gathering intelligence, and assisting in special operations. Earlier attack submarines, such as the , are typically named for cities while Ohio class and later attack submarines are typically named for states. Attack submarines prior to the Los Angeles class were named for denizens of the deep, while pre-Ohio-class ballistic missile submarines were named for famous Americans (including foreigners with notable connections to the United States). The current naval jack of the United States is the First Navy Jack, traditionally regarded as having been used during the American Revolutionary War. On 31 May 2002, Secretary of the Navy Gordon R. England directed all U.S. naval ships to fly the First Navy Jack for the duration of the "War on Terror". Many ships chose to shift colors later that year on the first anniversary of the September 11, 2001 attacks. The previous naval jack was a blue field with 50 white stars, identical to the canton of the ensign (the flag of the United States) both in appearance and size, and continues to remain in use with vessels of the U.S. Coast Guard and National Oceanic and Atmospheric Administration. A jack of similar design was used in 1794, though with 13 stars arranged in a 3–2–3–2–3 pattern. When a ship is moored or anchored, the jack is flown from the bow of the ship while the ensign is flown from the stern. When underway, the ensign is raised on the mainmast. The First Naval Jack, however, has always been flown on the oldest ship in the active American fleet, currently USS Denver (LPD-9). The first American president who served in the navy was John F. Kennedy (who commanded the famous PT-109). Others included Lyndon B. Johnson, Richard Nixon, Gerald Ford, Jimmy Carter, and George H.W. Bush. Both Theodore Roosevelt and Franklin D. Roosevelt were the assistant secretary of the navy prior to their presidencies. Many members of Congress served in the navy, notably U.S. Senators Bob Kerrey, John McCain, and John Kerry. Other notable former members of the U.S. Navy include astronauts, entertainers, authors and professional athletes. 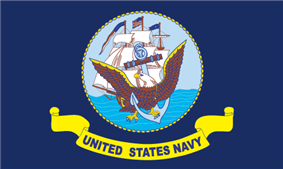 Commons has media related to United States Navy.